Firstly, I'd like to apologize for the lack of recent posts. See I've been driving on this giant road trip and internet access has been spotty. But less about me and more about what we have here today! 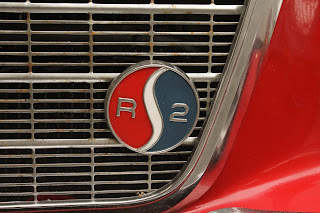 Today's lust object in question is the questionably named 1963 Studebaker Lark Daytona R2. 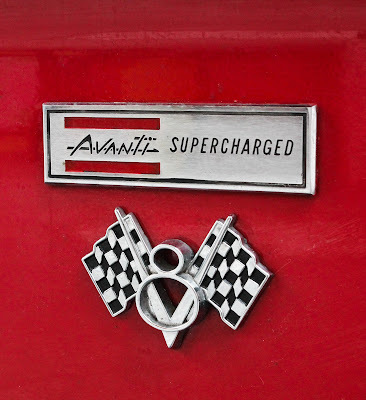 And it's supercharged! 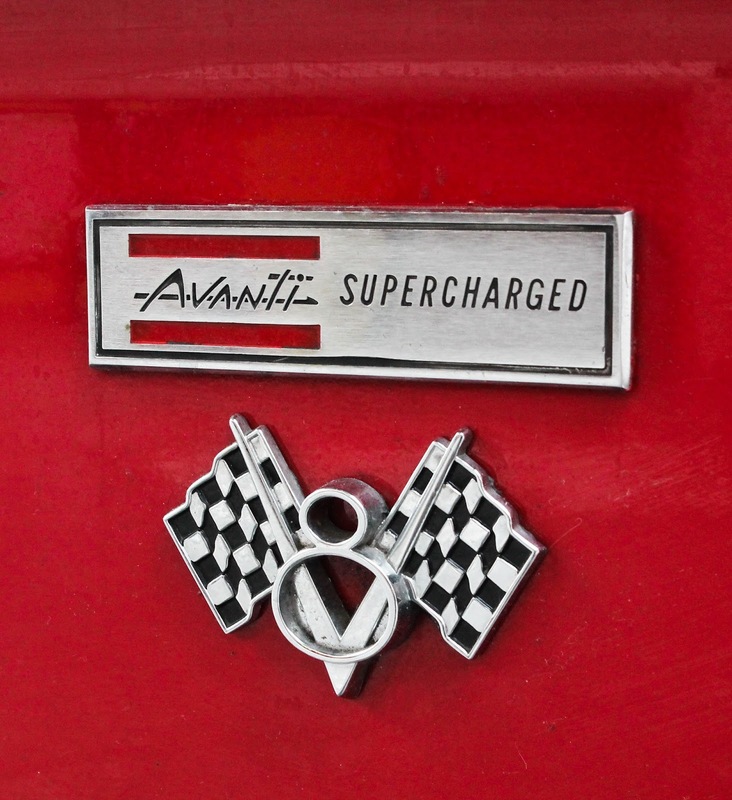 As the badge so proudly proclaims, this striking red Stude is home to a 289 horsepower Paxton-supercharged 4.7 liter V8. 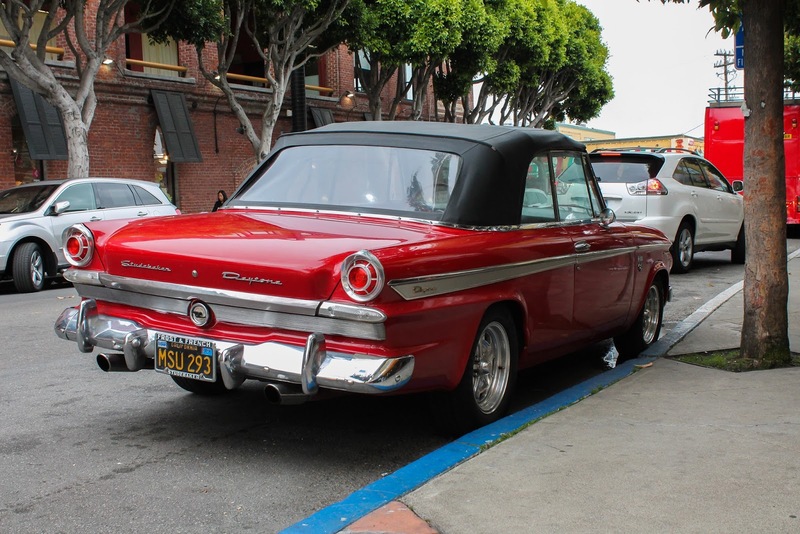 Keep in mind that the Lark was a compact car like the Ford Falcon or Chevy II and the hot, supercharged engine made a Lark R2 something to be feared at stoplights across America. Would it blow the doors off your fuel injected Stingray? No. But all those kids with '66 Mustangs better watch out. Today's featured Lark is a very rare bird. 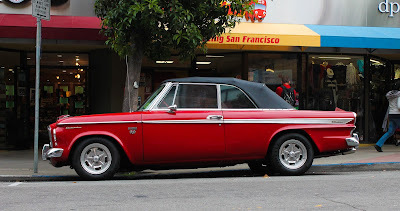 Only 1,015 convertibles snuck out the factory in 1963 and I doubt that all of them had the special R2 V8. The Daytona was really just a sporty trim package but it certainly looks good against all the red on display. One could confidently assume that fewer than a thousand Larks were optioned this way. 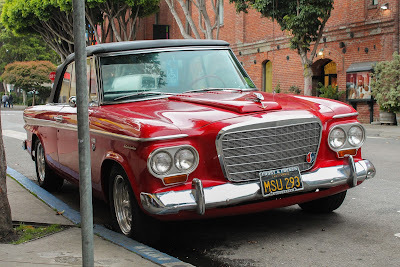 But sadly, 1963 marked the beginning of the end for little Studebaker. America's oldest car company was having trouble selling cars in a world increasingly dominated by the big three. For 1964, the Lark line was restyled and the supercharged R2 engines were discontinued. 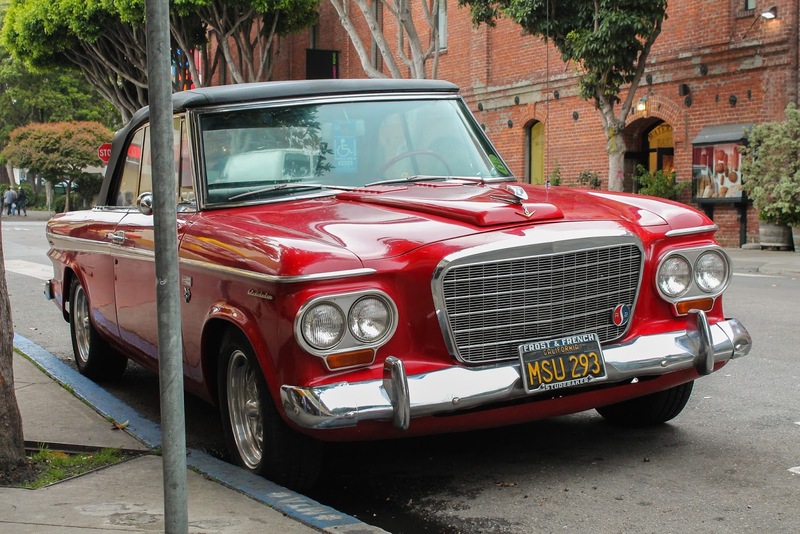 By 1966, Studebaker would be no more. 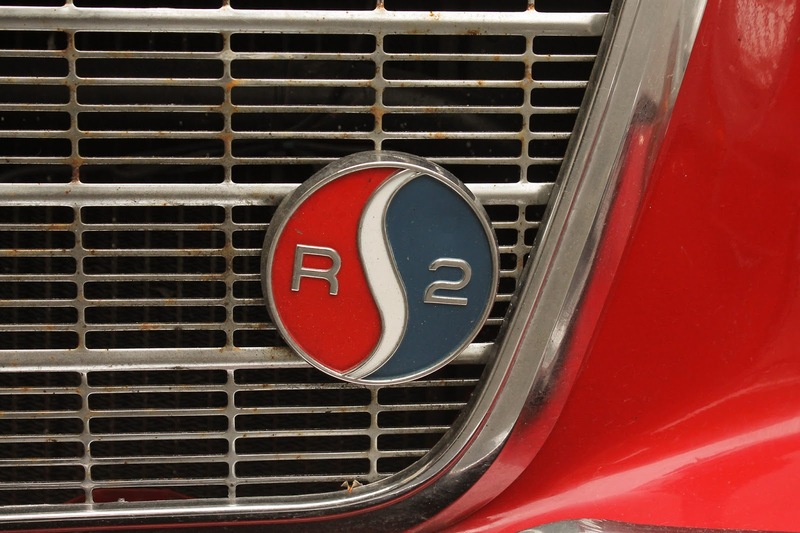 Though never as classically 'cool' as the other early Detroit sporty compacts like the Mustang and Camaro, the R2 Larks earn a special place in many enthusiasts hearts for their advanced design and oddball nature. This one, in fiery red, is gorgeous! Glad you enjoyed a big road trip! I put 15 hours on on my last day...took a little dip down through the Cypress Hills from Gull Lake to Maple Creek...a great way to pull off the Trans Canada Highway!